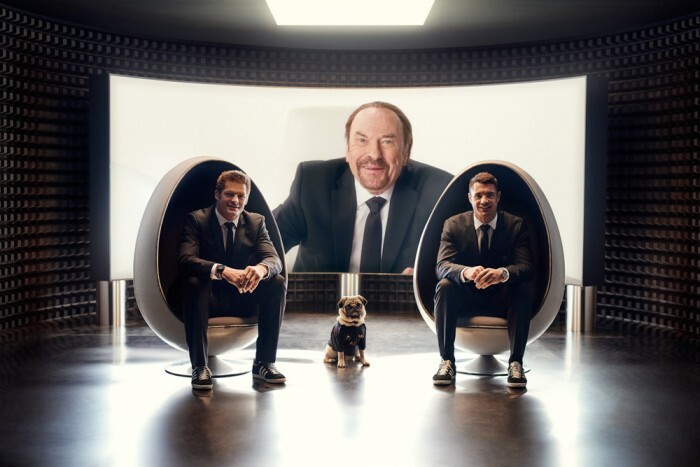 The new Air New Zealand safety video featuring legendary rugby players was released a week ago and has already gone viral after tallying over 2.5 million YouTube views thanks to the Men In Black sci-fi theme in collaboration with Sony Pictures. This sports business partnership highlights Air New Zealand’s new rugby-focused safety video starring the boys in black national team members, a touch of advanced alien technology and adidas sports performance wear. The Sports Techie blog readers and followers around the globe can review another Air New Zealand advert via this link. Created together with Sony Pictures, the All Blacks take on a new sport challenge. Air New Zealand, Sony Pictures And The All Blacks Rugby Safety Defenders – SportsTechie blog. Inspired by Men in Black (the unforgettable Columbia Pictures global film franchise that first hit theaters in the 90s), Air New Zealand’s new safety video features New Zealand’s national rugby team the All Blacks and various all-star international rugby players at the MIB tech training center. The goal of this advert is to make everyone notice key safety messages on-board, whether you’re a rugby fan or not. Air New Zealand has enlisted the help of MIB leader Zed played by Rip Torn, M.I.B. informant Frank The Pug and (perhaps New Zealand’s most famous “men in black”), national rugby team the All Blacks for their newest safety video. Called Men in Black Safety Defenders, the video also features All Black’s Captain Richie McCaw (the world’s most capped player), Dan Carter and Israel Dagg as Men in Black agents, in addition to coach Steve Hansen and Kiwi musician Stan Walker as rapping Agent S.
Fans of Men In Black and international rugby will notice Team England, Australia and Argentina inter-galactic rugby cameos from David Campese, Martin Johnson and Agustin Pichot as well as some other special appearances, as the video continues Air New Zealand’s tradition of presenting safety videos in a fun and engaging way (previous safety videos featured cameos from The Hobbit films, Betty White, Bear Grylls and others). **This video was created in collaboration with Sony Pictures Entertainment’s Content Licensing group, Sony Pictures Imageworks and Sony Pictures Entertainment’s Archives & Collections. Sports Techie, if you have not seen Hollywood superstar actors Will Smith and Tommy Lee Jones star in the original Men in Black movie in 1997, or MIB II in 2002, or MIB 3 released in 2013, shot in 3D and also starring Josh Brolin, like my two year old son has not, do it soon because I love these comic science-fiction and action movies and so will many of you newbies. Smith is Agent J and Jones in Agent J and together while working for a secret non-government organization they help save the world from alien invaders. Men in Black Safety Defenders Star In Out Of This World Air New Zealand Safety Video. At Air New Zealand, they’re #CrazyAboutRugby. So for the companies latest inflight safety video, they called upon some very special Men In Black to brief their passengers. Air New Zealand has asked MIB to help keep their passengers safe while on board. Notice the MIB Agents wear adidas shoes. The MIB black rap song first gets jiggy with the Agents dancing with flight attendant dancers. Then they analyze an Adidas cleat 3D model. Another flight attendant uses touchscreen tech to highlight the design of Air New Zealand airplane safety features, their roomy seats and seat belt buckle safety. Agent S sings about air mask procedures for all types of passengers including aliens and kids. Should a flight require an emergency landing, the Agents show passengers how to prepare your body for impact and find life jackets if needed. Because a rugby ball is not round it takes crazy bounces especially when there is no gravity as you can see in the video. You have to be a real alien to not know by now that smoking of any type including e-cigs is not allowed on board aircraft. Remember to switch gadgets to flight mode to save power and ensure pilot communication is undisturbed by turning off all transmitting functions such as Bluetooth and Wi-Fi. Store your small electronics and mobile devices in purses and pockets. During takeoff, place large electronics like a tablet or laptop under your seat or overhead even if you are watching an epic All Blacks 2015 Rugby World Cup match. Once in flight and after the pilots give the ok, you can take out your mobile devices and use them. A reminder to all fans, the RWC 15 tournament hosted by England runs from September 18 to October 31. All aboard Air New Zealand because here come the men in black #safetydefenders. The MIB Neuralizer will not be flashed so you can remember inflight safety information wherever you travel.